Supervisor Joe Simitian said the county is seeking to keep net neutrality regulations intact so its residents can utilize the Internet without the potential of high-speed or low-speed "toll roads." Santa Clara County announced its intention to file a lawsuit against the Federal Communications Commission's vote Thursday to repeal regulations for net neutrality. The decision from the FCC in a 3-2 vote in Washington, D.C., Thursday came down as the county held a news conference with members of the Board of Supervisors, county health officials and Sheriff Laurie Smith at the county building in San Jose. Opponents of Thursday's vote say the fear is that Internet service providers will throttle or slow speeds online for many to help those who are willing to pay a premium for the best speeds. 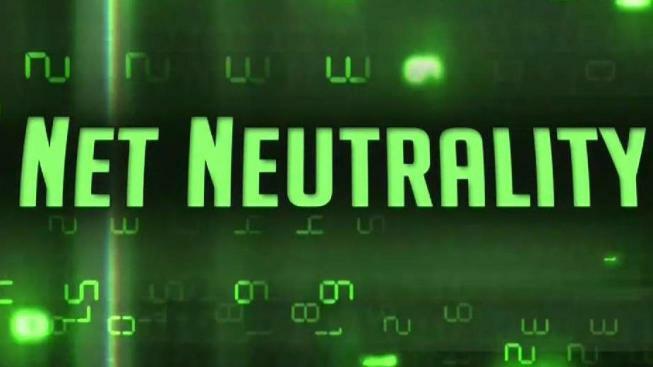 The Federal Communications Commission voted 3-2, on party lines, Thursday to unravel sweeping net-neutrality rules that guaranteed equal access to the internet. Scott McGrew reports. "We are here today that this issue remains a source of great concern to our county and to our county's 1.9 million residents," Simitian said. "This is a matter of economic vitality, it is a matter of democratic participation, and frankly, our concern is that it's a matter of our ability as a county to provide the residents of this county to be safe and secure." County Counsel James Williams said the suit will move forward once the FCC officially repeals the regulations. "The reversal of net neutrality is arbitrary and unjustified and therefore it is unlawful," Williams said. "Santa Clara County will not let the FCC's actions stand." Smith said the sheriff's office depends on the Internet for communications purposes. "Right now, our deputies have a tremendous amount of tools at their fingertips," she said. "They can know if someone is wanted or what crimes they've committed." Smith admits there's a lot that remains to be seen but that is part of the problem. "Because they can make different rules for different sectors for different rates, government doesn't have a lot of money to put into this and we want to make sure we're treated fairly and we can provide these functions," Smith said. "So much is unknown right now." County Health Officer Sara Cody said the county relies on the Internet to take information in and release information out to the public. "Any potential change or disruption in our ability to do that can both threaten public health as well as communication to provider and patient," Cody said. She said it's hard to predict when the county will need to send out an advisory warning people about a health crisis and can't rely on potentially inconsistent speeds. "Sometimes, something happens, and it's not as though you can give time to say, 'you know, could you turn it up on Tuesday?" Cody said. "We need it there all the time. It's a tool that we need to ensure we can communicate quickly and effectively with the public." There were other responses by Bay Area politicians to today's net neutrality vote. State Sen. Scott Wiener, D-San Francisco, announced that he plans to introduce legislation that would establish net neutrality protections in California once the state Legislature returns for session in Sacramento in January. 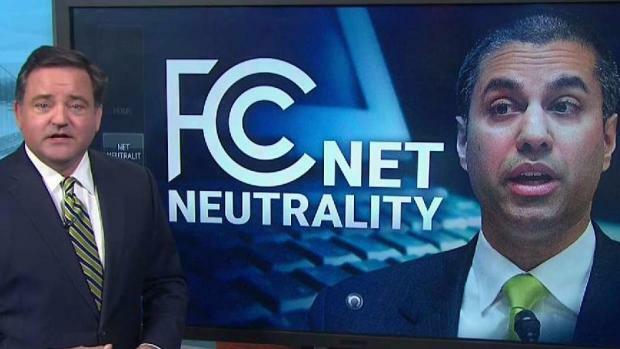 "If the FCC is going to destroy net neutrality and create a system that favors certain web sites just because they can pay more money, California must step in and ensure open Internet access," Wiener said. San Francisco Supervisor Mark Farrell issued a statement saying the FCC's decision is another reason for why the city should create its own citywide fiber network. "With San Francisco in control of our network, we can mandate net neutrality principles, provide more choice than the market offers, and higher quality Internet service for our residents and businesses," Farrell said. Two local congresswomen, Reps. Barbara Lee, D-Oakland, and Jackie Speier, D-San Francisco/San Mateo, also criticized the vote. "Net neutrality is the backbone of a free and open Internet, and Congress must fight to ensure that every citizen -- not just those that can afford it -- has access to this fundamental right," Speier said. Lee said, "The American people won't be silenced, censored or ignored. This fight is far from over."